Implied consent laws are connected to drunk driving and drugged driving, in America. An implied consent definition is hard to put in 50 words or less, so this article is longer. These DUI-related laws, in current times, have been written up, enacted into law, and formalized into complex and sometimes illogical state laws. Implied consent law is in place to administratively SANCTION a driver (through taking away driving privileges) who will not willingly take the requested test of his or her blood, breath, urine or other bodily substances, so that police can determine the extent of impairment. As can be seen below, a growing trend of states to criminalize implied consent violations may change your State’s implied consent law in the coming decade. He or she who consents (and gives the police more harmful evidence to use against them) is treated better under consent laws, and may not face prison, in the several jurisdictions where state prison time is handed out for a refusal to submit to implied consent testing. A DWI attorney or OWI lawyer will be needed to navigate these treacherous laws, if you plan to drive a motor vehicle. What is always at stake — in every American court jurisdiction — under implied consent is the continued ability to use a person’s driver license. The arrested drunk driving suspect, for a DWI-DUI-OUI-OVI refusal to take the implied consent test, risks either losing the right to drive (at a minimum) plus (in some states) a monetary penalty. In some states) in addition to being charged with driving while intoxicated in the criminal case, he or she can also be charged with the crime of refusal to submit. Even worse in about a dozen states, and this trend is GROWING, all of the foregoing administrative and criminal sanctions can be imposed plus the driver who denied the implied consent samples can be required to serve either county jail time or state prison time. 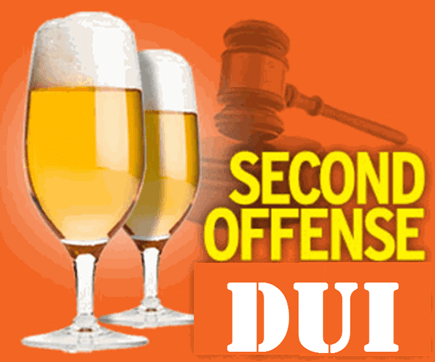 A first DUI offense is usually treated more favorably than a 2nd DUI. From a violation of a state’s implied consent laws, driver sanctions (usually administrative in nature) of their right to drive, and possible incarceration may occur. While most states have set up separate administrative courts to process implied consent cases, a few states roll this part of a driving under the influence case into the criminal court handling the DUI criminal case. The phrase “implied consent” means that these implied laws (which were originally not written into the Code) grew out of a legal fiction, created by states in the 1940s and early 1950s. Simply stated, police took the position that (since you were using State roads) you had implicitly (impliedly) AGREED (when suspected of intoxicated driving) to give a sample of your blood, breath or urine, for use against you in the criminal case for operating while intoxicated. Skilled criminal defense attorneys across America challenged the right of police to REQUIRE such incriminatory testing, for a post-arrest individual who had no access to an attorney. The Miranda warning did not exist in America until 1966, so (in earlier years) police in America operated a lot like the Mafia, since they had the guns, billy clubs and handcuffs. Forcible blood collection was not unusual in some states, when a person did not want to willingly blow into a breathalyzer. Two U S Supreme Court implied consent cases in the last few years has changed that practice forever, where it existed. Ultimately, each state has formalized its statutes on implied consent, to call for (at first) a driver’s license suspension or revocation. While the terms “suspension” and “revocation” are similar, the word suspension generally means taking away the right to operate a vehicle for some period of time. Revocation usually means cancelling the person’s license entirely, and requiring that person to re-apply, when later eligible. Implied laws are stated in each state’s statutes, and vary widely in their wording and provisions. All require that an officer have made a lawful arrest for impaired driving, even though this legal issue (at the administrative level) does not have to be proven beyond a reasonable doubt. So, many states’ implied consent administrative law process (California, Florida) are a joke. Over 90% of all litigants lose the right to drive, administratively, and this loss of driving privileges can continue even when the criminal case gets totally dismissed or acquitted. The consent laws in each state is tied to state legal provisions calling for how to sanction a driver who is written down and being a “refusal” to test, after being notified of the state’s legal obligation of an arrested DUI-DWI driver to submit to testing of bodily substances or breath. We are based in Georgia, but have connections with experienced, reputable DWI-DUI Defense attorneys all across America. Dial 1-888-DUI-HEAD or email William C. Head at bubba@bubbahead.com. The man who wrote America’s first drunk driving book in 1991 (see below), on how to beat a DUI is still helping citizens DECADES later. Call the Atlanta DUI law firm of William C. Head, PC and request your FREE case review. Our Atlanta DUI lawyers are available 24 hours a day, 7 days a week. Call us at (404) 556-5515 today.